First Love Missions: Happy Thanksgiving! 1 Chronicles 16:34 "Oh, give thanks to the LORD, for He is good! 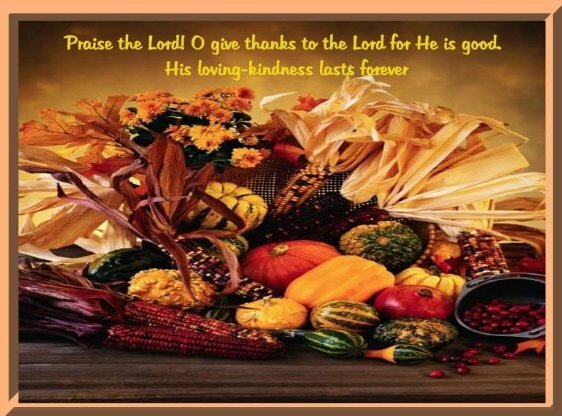 For His mercy endures forever"
HAPPY THANKSGIVING! PRAISE HIS HOLY NAME!